Even with Fixed-Rate Mortgages So Low, Don’t Overlook Adjustable Rates! Refinancing has become very popular ever since interest rates started to fall a few years ago. Home owners who found that refinancing is the way to go in order to reduce their mortgages may even refinance multiple times in the past few years. However, most borrowers choose to refinance into a fixed-rate mortgage, not realizing that adjustable-rate mortgages also have their advantages and may even be more beneficial for them. Adjustable-rate mortgages have gotten a bad reputation over the past few years, being blamed in part for the large number of foreclosures. This made fixed-rate mortgages more popular than ever and the go-to mortgage for most people who refinanced. Interest rates on fixed-rate mortgages are, indeed, near record lows, but home owners who are considering refinancing should take a look at adjustable-rate mortgages as well. What Are Adjustable-Rate Mortgages and How Do They Work? Adjustable-rate mortgage loans start out, like fixed-rate mortgages, with a fixed interest rate period, which usually lasts for one to seven years. During this fixed-rate period, adjustable-rate mortgages are essentially fixed-rate loans. 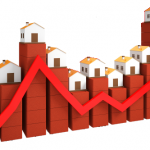 After this period ends, the interest rate is adjusted according to the mortgage loan terms. Interest rates on an adjustable-rate mortgage are lower during the fixed-rate period than home mortgage rates on a fixed rate mortgage loan, making them ideal for home buyers who don’t wish to live in their home for a long period of time. Compared to fixed-rates mortgages, an ARM can save you several thousands of dollars during the fixed-rate period. The largest advantage of refinancing into an adjustable-rate mortgage is that you can take advantage of some of the lowest interest rates available in the fixed-rate period. The interest rate for that initial period will be lower than the interest rate on a fixed-rate mortgage. Adjustable-rate mortgages are especially valuable for home buyers who plan on refinancing or moving after only a few years before the fixed-rate period comes to an end. They are also a good choice for those who expect the economy to make a good recovery and their financial situation to improve. The biggest risk of refinancing into an adjustable-rate mortgage is that the interest rates on your loan might increase dramatically once the initial period is over. Interest rates are still very low right now, and it looks like there is no place that they can go but up. But a lot can happen during the fixed-rate period, so you might end up with an even lower interest rate once the adjustable-rate period starts. Alternatively, you can refinance or pay off your loan before the adjustable-rate period begins, and you won’t have to worry about a large increase in interest rates. Besides refinancing or paying off your mortgage loan before the fixed-rate period ends, you can also plan for an increase in interest rates. By choosing an adjustable-rate mortgage over a fixed-rate mortgage, you will have a lower interest rate for the first repayment period, meaning that you could save or invest the difference. Having savings once that adjustable-rate period begins will help you significantly if the interest rates increase, giving you time to refinance. Adjustable-rate mortgages should not be overlooked when refinancing. Depending on several factors, they can be quite beneficial and save you money. It is up to each home buyer to take a close look at his or her financial situation and future plans and decide which type of mortgage to refinance into. Just because adjustable-rate mortgages are seen as riskier than fixed-rate mortgages doesn’t mean that you will be unable to make them work to your advantage. Before buying a home, most people go through the same process, which mostly involves researching for lots of information. While going through mortgage loan options, pros and cons of each type of loan, and using mortgage calculators, you may come across on some information that has very little truth to it. Mortgage myths are very common, especially online, where anyone can post information about buying a home. While some of these myths are harmless and you will probably find out the truth before buying a home, there are others which can potentially cause some serious damage, and interfere with your ability to buy a home. In this article, we will explain some of the most common and dangerous myths, to ensure that you make the best decisions when shopping for a mortgage loan. The best mortgage is the one with the lowest interest. Looking only at the interest rate when comparing mortgage loans is a huge, but common, mistake. Several other important factors should be researched before deciding on a mortgage loan. Things like the overall cost of the loan, the down payment required and the closing fees are also important, if not even more important than the interest rate. There are also the adjustable-rate mortgages which offer a low interest rate in the beginning, but which can increase significantly over the repayment period. Pre-approved for a mortgage loan is like already being approved. The mortgage loan pre-approval process is designed to take a simple look at your financial situation, and give you an idea about how much you can borrow. Once you find a suitable home, you will have to provide more important information about your finances, such as employment information, to your lender. Sometimes, this additional information can affect the amount of money that your lender will let you borrow, or even cause your lender to refuse giving you a mortgage loan. 30-year mortgages are your best choice. 30-year mortgage loans are, indeed, very popular, and probably the most common choice among home buyers, but that doesn’t mean that this type of loan is the best for you. Depending on your situation, a 15-year loan, for example, might be a better choice, even if the payment will be higher. Paying off a loan in half the time, means that you will save significantly on interest, which will make the overall cost of the loan lower, and save you money. Fixed-rate mortgages are your best choice. Fixed-rate mortgages may be more popular, but you should decide on which loan you want to go with, based on your situation. For example, many home buyers don’t live in the home that they bought for very long, which makes adjustable-rate mortgages a better option for them. Adjustable-rate mortgages start out with a fixed interest rate, which lasts for a predetermined period, and it’s generally lower than the interest rate on a fixed-rate mortgage loan. By getting a mortgage loan with an adjustable-rate, you will be saving money over a loan with a fixed-rate, if you don’t plan on living in the home for a long while. You won’t be granted a mortgage loan if your credit score is low. Credit score has a large influence on whether you receive a mortgage loan or not, the loan type, loan amount, interest rate, and the down payment. But having bad credit doesn’t necessarily mean that you will be refused when you apply for a mortgage loan. You lender will see you as a high default risk, and your loan will probably not have the best terms, such as the interest rate, and the required down payment, but your lender will be willing to help you buy a home. After all, they have only to gain if they bring in a new customer. You’ll be encountering mortgage myths at every step when researching mortgages and the home buying process. It is up to you to tell apart myth from reality. Knowing the dissimilarity between these two can make the difference between getting a mortgage loan that you are comfortable with, or one that will cause you nothing but issues down the line. Getting the best deal is your main goal when shopping for a mortgage, so being prepared will help you avoid falling into some expensive traps, and even ruin the chances of becoming a home buyer. A reverse mortgage is a type of mortgage loan which is available to seniors over 62 years old. Reverse mortgages allow the qualifying home owner to convert part of the equity in the home into cash. The reverse mortgage loan is only paid after the home owner dies in one of three ways: the heirs pay back the loan, the home is taken by the lender, or the home is sold by the heirs, who can cash out the remaining equity this way. The mortgage on the home must be low enough to be covered with the money received from the reverse mortgage, and there are no income or credit score requirements. The money received from the reverse mortgage loan is not taxed and can be used at the discretion of the borrower. The amount of money that can be taken out is determined by the property value, the borrower’s age, the interest rate, and the type of loan, fixed or adjustable rate. Determining which of the two types of reverse mortgage loans is best for you depends entirely on your reason for wanting to take out a loan. If for example, you wish to pay off your mortgage, you will most likely take out a fixed-rate reverse mortgage loan, which allows you to receive the whole borrowed amount at once. If you need the money for repairs, improvements, or other things, you can choose to take out an adjustable-rate reverse mortgage loan, in which case you will receive an amount of money each month for as long as you live in the house. The amount that you can borrow for both types of reverse mortgage loans is determined by the age of the youngest borrower. Besides the age of the youngest borrower, several other factors are used in determining how much you can borrow. The value of the home and current mortgage rates also come into play when determining the amount of money that you will be able to get, whether you are taking out a fixed or an adjustable-rate reverse mortgage loan. 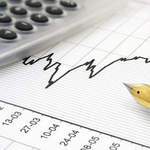 The rates on your reverse mortgage loan are calculated according to the London Interbank Offered Rate (LIBOR) index, which is the rate that banks lend to each other. A margin is added to this rate by each lender. Margins can differ slightly from lender to lender, but even a small, less than 1 percent difference can mean a lot of money over time. The main advantage of a fixed-rate reverse mortgage loan is that the interest rate will remain the same for the duration of the loan, and interest rates are really low at the moment. The disadvantage of the fixed-rate reverse mortgage is that you must receive the whole amount and, while this doesn’t sound like a problem, you will be charged interest for all of the money. Another advantage with an adjustable-rate reverse mortgage loan is that it is very flexible. You can take out what you need, then pay it back, and take out more money when needed. 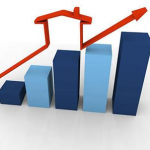 The disadvantage, as with all adjustable-rate mortgage loans, is that, due to the economy increasing, there is a good chance that the interest rates on your loan will increase. Choosing between a fixed-rate and an adjustable-rate mortgage loan largely depends on what you need money for. If you need a large amount of money, then fixed-rate is the best choice. If you need a monthly check, then adjustable-rate is by far the best choice. Interest rates will change for the adjustable-rate reverse mortgage, but it is not the only factor that should matter when deciding which type of loan to choose. Balloon Loans: Are They Worth It? 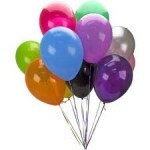 Balloon loans are a great choice for home buyers who wish to pay a fixed low interest rate on their loans. With a shorter term than the typical mortgage loan, balloon loans must be repaid in five to seven years. Payments for a balloon loan are calculated in the same way that payments for normal loans are calculated but, because the term is only 5 to 7 years, the borrower will have to make a large payment at the end of the term. This characteristic makes balloon loans an ideal choice for borrowers who are expecting to come in possession of a large amount of money or a higher salary in the near future. This type of mortgage loan also benefits people who move a lot, and do not intend to keep a home for longer than a few years. There are basically two types of balloon mortgage loans: regular mortgage loans that have a balloon clause, and actual balloon loans, where the borrower has to make a large payment at the end of the term, after making normal monthly payments for five to seven years. Low down payment. One of the main advantages that a balloon loan has is the low down payment requirement, which allows a larger number of borrowers to qualify. If you are not doing very well financially, but are expecting to receive a large sum of money in the near future, then balloon loans might be a great choice. Low interest rate. Considered by most lenders to be a low risk loan, a balloon loan has the same or an even smaller interest rate than a conventional loan. The large payment can be refinanced. If a borrower is unable to pay the large amount due at the end of the balloon loan term, he can refinance, but he will most likely have to pay higher interest rates than usual. Large payment at the end of the term. When the loan matures, normally in 5 to 7 years, the borrower is required to pay the remaining sum. Because the term is so short, the remaining amount will be quite large, and can create difficulties for borrowers who didn’t plan accordingly. Borrowers must have access to a large sum of money in order to make this last payment, if they decide to go with a balloon payment. Bigger risk of losing your home. 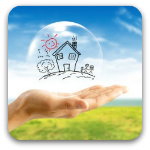 You will risk losing your home with any type of loan, due to poor planning or unforeseen events, but the risk is much greater with a balloon loan. Not only will you need a large sum of money to make the last payment, but being unable to qualify for a refinance will increase your risk of foreclosure. Balloon loans are obviously risky and not recommended to most home buyers, but they can be the correct choice for those who don’t plan on keeping a home for long, and for those who are expecting to receive a large amount of money in the next few years, or receive a large pay increase. Current FHA Rates: Which is Best, Fixed or Adjustable? Federal Housing Administration (FHA) loans may have stricter requirements and bigger mortgage insurance premiums, but at least the interest rates are still low for now. As with conventional loans, this might be a good time to get an FHA loan because interest rates are predicted to rise in the near future. The increase won’t be substantial, but over time the small percentages will add up, making your FHA loan significantly more expensive than it is now. What is a Federal Housing Administration Loan? The Federal Housing Administration doesn’t actually give out the mortgage loan, but insures it against default. The Federal Housing Administration acquires the money needed to pay these claims through the mortgage insurance premiums that the homeowners are required to pay, if they acquire an FHA backed loan. Part of the mortgage insurance premium is paid up front at the time of closing, and is then paid in monthly installments after that. FHA loans are similar to conventional loans, offered by Fannie Mae, Freddie Mac, or loans insured by the Department of Veteran Affairs. Like conventional loans, FHA loans are offered in various lengths, such as 30-year, 20-year, or 15-year; they can be fixed-rate or adjustable-rate; they can be made with full, low, or zero closing cost options. The difference between conventional loans and FHA loans is the down payment, which is only 3.5 percent for FHA loans, and 5 percent or more for conventional loans. Another difference between the two types of loans is the fact that FHA loans don’t have such strict requirements in regards to the home buyer’s credit score. While lenders require the home buyer who applies for a conventional loan to have a high credit score, FHA loans can be given to people with lower credit scores. Current interest rates for 30-year FHA mortgage loans are lower than the interest rates for conventional loans. For example, the interest rate for a 30-year fixed-rate conventional loan is around 3.6 percent, while the rate for an FHA loan of the same length is only 3.2 percent. The interest rate for a conventional 5-year adjustable-rate loan is 2.1 percent, while the rate for an FHA adjustable-rate mortgage loan is slightly higher at 2.2 percent. Fixed-rate FHA loans are a great choice for new home buyers. These types of mortgage loans will have the same interest rate until the loan is paid off and, with a down payment of only 3.5 percent, they allow you to finance the rest of the loan amount. Your closing costs can be paid with a gift or it can be financed, making it easier for you to qualify for the loan. Less than perfect credit scores and not so stellar credit history are not going to matter as much as they do when applying for a conventional loan. Adjustable-rate FHA mortgage loans feature lower interest rates, but that doesn’t necessarily mean that you will save money over a fixed-rate FHA loan. Mortgage interest rates can jump up even a few percent over the life of the loan, increasing the overall cost of the loan significantly. Of course, there is always the chance that the interest rate will decrease, but based on recent predictions, it looks like the interest rates will continue their upwards trend. 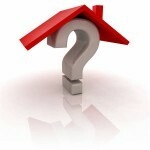 It is hard to decide between a fixed-rate and an adjustable-rate mortgage loan based solely on the interest rates. Adjustable-rate FHA loans might seem more attractive, but there is always the risk that the interest rate can rise. Whatever type of FHA loan you decide to go with, remember this: predictions say that the economy will continue its growth, making interest rates go up. Whether it’s a fixed-rate or an adjustable-rate FHA loan that you need, this year might be the last time you can take advantage of interest rates this low. The time required to pay off a loan has the biggest influence on the amount of your monthly payment. The lower the loan term, the more you will save in interest compared to longer term loans, but your monthly payments will also be larger. With so many loan term options to choose from, there are a lot of factors to look at when making a decision as to what loan term is best for you, your budget, and your financial situation. Read on to see if a 30- year or 20-year loan is the best choice for you! At first glance, there isn’t much difference between the interest rate on a 30-year loan and a 20-year loan. Currently, the difference between the two types of loans is only around .13 percent, which may not seem like a lot, but this small percentage can mean thousands of dollars over the life of the loan. These rates fluctuate based on several factors, but they usually follow the same pattern. The difference in interest on a longer term loan doesn’t look that significant, but the lenders will collect more revenue over time on a long term loan than they would on a short term loan. However, the monthly mortgage payment will be larger on a 20-year fixed-rate mortgage loan than it would be on a 30-year fixed-rate loan. Whichever you choose to go with depends entirely on your budget and future plans, but you should keep in mind that you will always save money by choosing the shorter term loan. The 20-year fixed-rate mortgage is a good compromise for someone whose budget doesn’t allow him or her to make the monthly mortgage payment on a 15-year mortgage, but wants to pay off their loan in a shorter time than 30 years, while saving some money in interest. The interest rate is not the only aspect that you should consider when choosing between a 20-year fixed-rate loan and a 30-year fixed-rate loan. Another important part of taking out a loan is how much you will be paying in points. Points are fees charged by lenders to cover costs like inspection fees and preparation fees. The points will usually be a percentage of your total loan amount and will be based on the mortgage term. With points charged on a 30-year mortgage being a little over 1 percent, you will again save money be choosing a shorter term mortgage, for which the points will be under 1 percent. Another thing that you should take into consideration when choosing between the two types of loans is how fast equity is built with each loan. Shorter term loans, like the 20-year, allow you to build equity much faster than you would on a 30-year mortgage loan. Higher equity will make it possible for you to secure a second mortgage loan much easily. At the end of the day, choosing between a 20-year and a 30-year mortgage loan will depend on whether you can afford the higher payments of a shorter term loan. 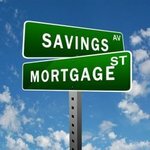 Saving money is always a top priority for everyone, so you should choose the mortgage loan that is less expensive, but only after a careful analysis of your options and budget. The mortgage rates difference might not seem very significant when shopping for a loan, but it will make a big difference in how much money you pay over time. Should You Take Advantage of a Portable Mortgage? Portable mortgages allow you to move your mortgage from one property to another. When moving and taking out a new loan, instead of repaying your initial mortgage, you transfer it to the new home. This type of mortgage first appeared in 2003 and was introduced by E*TRADE Mortgage. The portable mortgage was only offered on 30-year mortgages with a fixed interest rate. It featured a higher interest rate than a regular mortgage, and it could only be used to purchase single-family homes. The home purchased with a portable mortgage was required to be the borrower’s permanent residence. The borrower was also required to have a clean credit report, and provide all of the necessary documentation. Avoid the cost of taking out a new mortgage loan. Usually, when you take out a new mortgage loan, closing costs and other fees can be in the thousands of dollars, making the overall cost of the loan much higher than you initially thought it would be. You will still have to pay some fees, but you will save significant money in closing costs compared to taking out a new loan without having the portable mortgage option. You will also avoid paying any pre-payment penalties on your initial loan. Avoid an increase in interest rate. If you have qualified for a good mortgage interest rate on your original loan, then you can carry the same interest rate to your new loan. If your credit was good when you took out the first mortgage, but has decreased since then, you will still be able to qualify for the same interest rates, unlike with a regular mortgage loan where the interest rate that your lender will give you will be strongly influenced by your current credit score. This can be a great advantage, especially if you are moving frequently. Higher interest rates. A portable mortgage is a good choice for some individuals, and they will save money even if the interest rates are higher. If you are not in the situation of needing a portable mortgage, and come to the conclusion that you will end up paying more, then it is better to keep searching for a conventional loan that might better suit you. Good credit required. Unlike regular mortgage loans, where you can also qualify with not so stellar credit, in order to get approved for a portable mortgage, you will need a perfect credit score. Deciding whether a portable mortgage is right for you or not depends mainly on how long you plan to keep your first home before moving into a new one. So the best thing to do is do your homework, learn what is involved with portable mortgage, know its advantages and disadvantages, but more importantly, have clear knowledge of your financial situation and future plans. There are many good reasons why you should choose a mortgage loan insured by the Federal Housing Administration over a conventional loan. The FHA has been helping people buy homes since 1934 and it’s a great alternative to other lending options for families who want to buy their first home, people who have less than perfect credit score, or someone who doesn’t have a large amount of money to use as a down payment. FHA mortgage loans can be obtained with a credit score as low as 500, and by making a minimum of 3.5 percent down payment. However, you should remember that FHA loans come with a fairly large disadvantage. You will be required to pay mortgage insurance for at least 5 years. Once you have taken into consideration all of the advantages and disadvantages of a Federal Housing Administration backed mortgage loan, and decided that this type of loan is your best choice, it is time to decide between a fixed-rate FHA loan and an adjustable-rate FHA loan. The interest rate remains the same for the duration of the loan. If you are comfortable with the interest rate that you received from the lender, then the fixed-rate FHA mortgage loan will give you peace of mind for the years to come. The fixed-rate FHA loan allows financing for up to 96.5 percent of the loan amount. As a result of this, you will be able to make a low down payment, and your total closing costs will also be low. This is the only type of loan that allows 100 percent of the closing costs to be a gift from family, or funding from a government agency or a non-profit organization. Many of the closing cost charges can be financed, as opposed to conventional loans, where the borrower must pay 2-3 percent of the loan amount at the time of purchase. It’s easy to qualify for a fixed-rate FHA loan. If you have a low credit score, a bad credit history, your debt-to-income ratio is high, or if you have a bankruptcy that is more than 2 years old. The interest rate may rise over the duration of the loan, but it may also decrease. Also, the interest rate cannot fluctuate more than 1 percent per year, and cannot increase by more than 5 percent of the initial rate. 25-day notice for increased interest rate. In case the interest rate on your adjustable-rate FHA mortgage loan increases, you will have to be notified at least 25 days before. 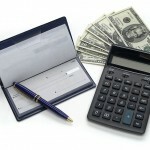 Many of the closing costs can be rolled into the cost of the mortgage. This will therefore reduce the initial expense that will be involved in purchasing a home. Option of refinancing. You have the option of refinancing your adjustable-rate FHA loan to a fixed-rate FHA loan at any time through FHA’s streamline refinance program. Both fixed-rate FHA loans and adjustable-rate FHA loans have their advantages, but choosing one over the other depends entirely on your situation. Understanding all the requirements, advantages and disadvantages is very important when considering any type of FHA loan.